OK, so you’ve probably heard a million times that car crashes are the #1 killer of teens in the United States. And you’ve probably already heard that the leading cause of crash is due to inexperience. Driving is a great privilege. And it’s fun. But we want you to be safe. That’s why we are committed to working with you, your parents, your teachers, and anyone else who can help get the message out that inexperience, distractions, alcohol and drugs are deadly. Here are links to resources that can help you understand the risks faced by inexperienced, teen drivers, and give you some great tips and exercises to help keep you safe. Let’s start with some general driving tips and tools. Still trying to master the art of parallel parking? Here are some helpful tips. It’s not always going to be a sunny day! Are you prepared for Bad weather driving? One of the most effective ways to help you and your friends stay safe is through “peer to peer” learning … friends helping friends. Learn about the great work being done by these teen leadership organizations and find out how you can get involved. SADD’s mission is to empower young people to successfully confront the risks and pressures that challenge them throughout their daily lives. We accomplish this by creating, equipping, and sustaining a network of student-run chapters in schools and communities focused on peer-to-peer education. SADD fosters a sense of belonging and promotes resiliency, leadership, and advocacy skills so that young people make positive life decisions that will carry them throughout life. Family, Career and Community Leaders of America (FCCLA) is a dynamic and effective national student organization that helps young men and women become leaders and address important personal, family, work and societal issues through Family and Consumer Sciences Education as determined by the state department of education. Friday Night Live (California) builds partnerships for positive and healthy youth development which engage youth as active leaders and resources in their communities. Started in 2002, Teens in the Driver Seat® is the first peer-to-peer program for teens that focuses solely on traffic safety and addresses all major risks for this age group. Teens help shape the program and are responsible for implementing it and educating their peers and parents; Texas A&M Transportation Institute (TTI) provides the science, guidance and project resources. Generation tXt is a teen-led program promoting safe driving strategies and providing education about the dangers of texting while driving. The mission is to save lives (and money) from injury, disability and death due to preventable car crashes caused by texting and driving. Generation tXt was founded by eight students at Booker T. Washington High School in Tulsa, Oklahoma, in 2009-10. Foundation For Advanced Alcohol Research – Developed to prepare teens to be safe behind the wheel, IKnowEverything is an integrated effort that highlights the issues of drunk driving and distracted driving. More than 37,000 people died in motor vehicle crashes in 2017. 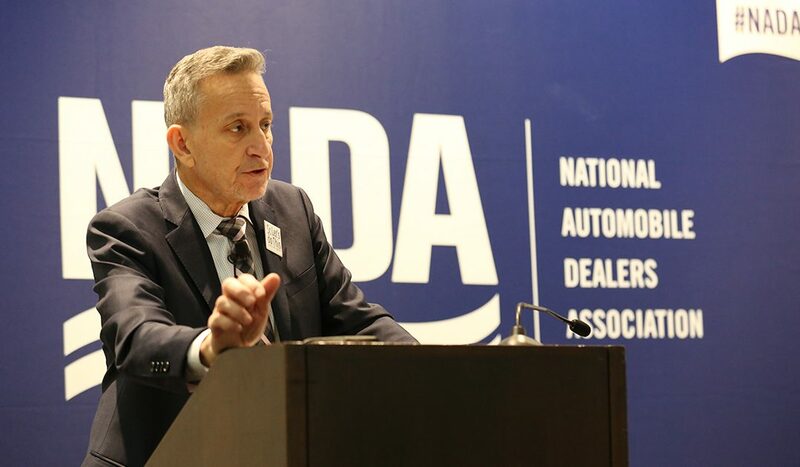 A new nation-wide awareness initiative launched at NADA Show 2019 seeks to tap into the franchised dealer network to change that.